Around 500 youths within the age group of 15 to 29 years from all north-eastern states are expected to participate in this three-day youth conclave. Sikkim is all set to host the North East States Youth Conclave 2018 from October 28 to 30 in Gangtok. The three-day long event is being organised by the department of Sports & Youth Affairs, government of Sikkim in collaboration with the Ministry of Youth Affairs & Sports, government of India. Around 500 youths within the age group of 15 to 29 years from all north-eastern states are expected to participate in this youth conclave. Addressing a press conference here on Tuesday, Secretary to Sports & Youth Affairs Department, SD Dhakal said that the main objective of the event was the amalgamation for youths of Northeastern region and to further strengthening their unity and brotherhood. He added that the idea of the youth conclave was the exchange of cultural and traditional heritage between states. He stated that the event would also provide a good platform to know and learn about arts, craft, culture, tradition, system, music and other details of other states. Dhakal informed that the three-day long event would have series of activities for participants in competitive and non-competitive categories at MG Marg, Manan Kendra and Tashi Namgyal Senior Secondary School. The conclave will have the competitive events of folk dance and song, quiz and painting competitions and there will be cultural presentations in the non-competitive category. Motivational talks and friendship bond for participants are another highlight of the event. 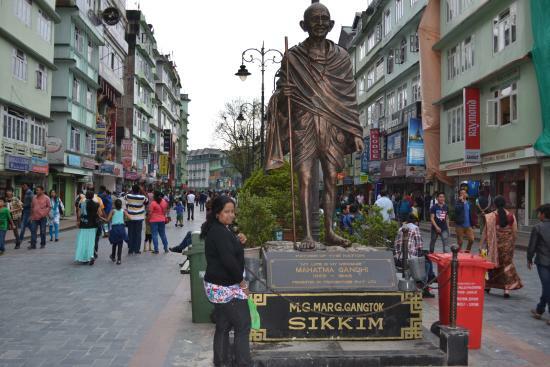 Being the host state there will be 200 participants from all four districts of Sikkim in this youth conclave and around 270 participants from other north-eastern states will be attending the event.